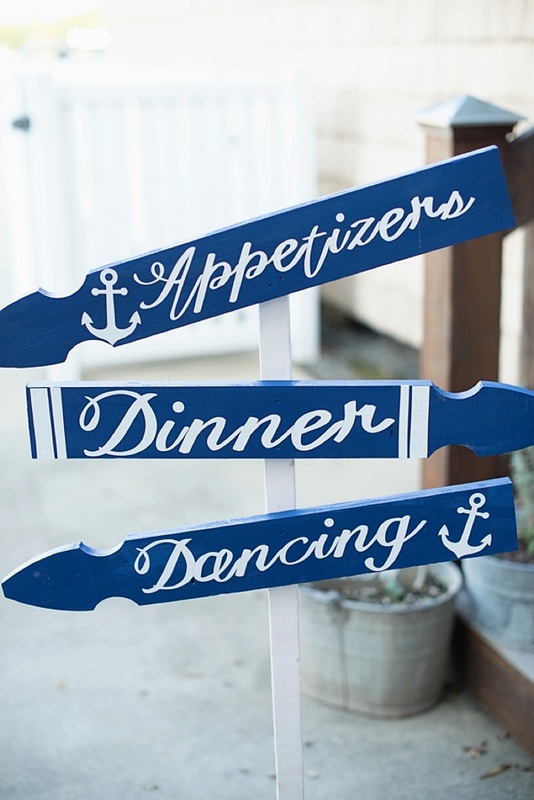 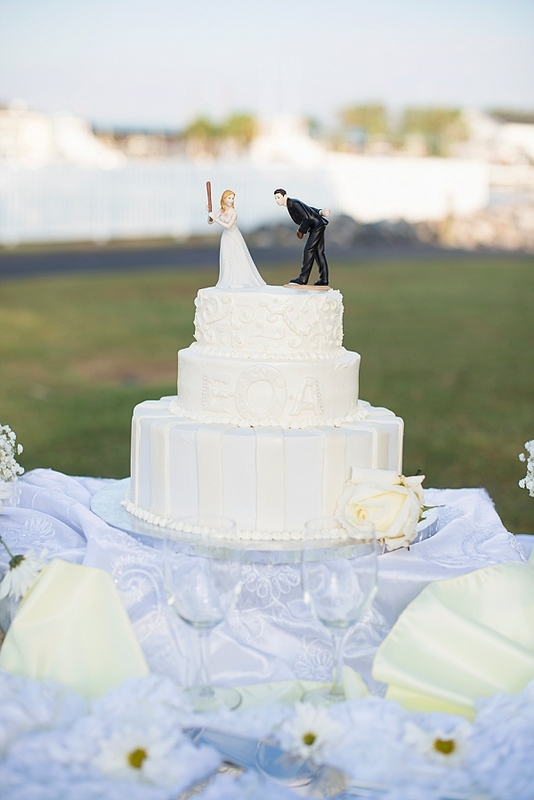 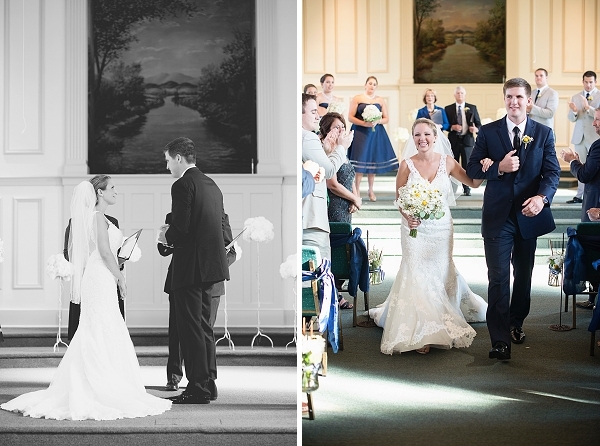 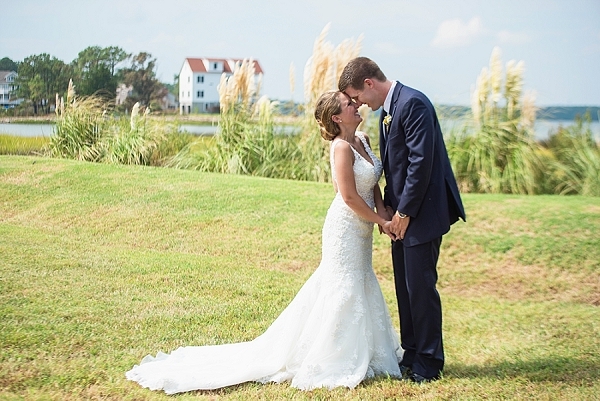 Poquoson, a city surrounded by water everywhere you look, is the quintessential location for a nautical-themed wedding in Hampton Roads. 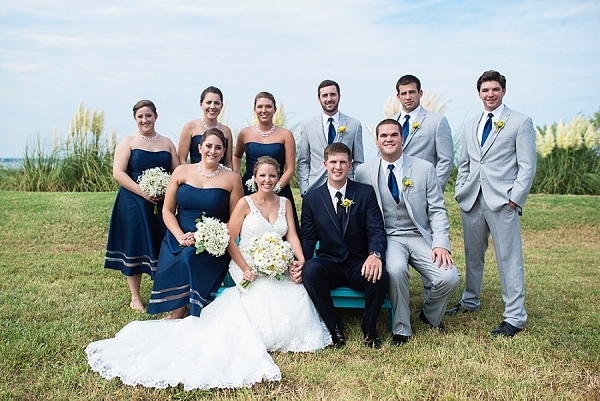 Alex and Ellen were married on a beautiful fall day with perfect planning and coordination from start to finish thanks to Mann and Wife. 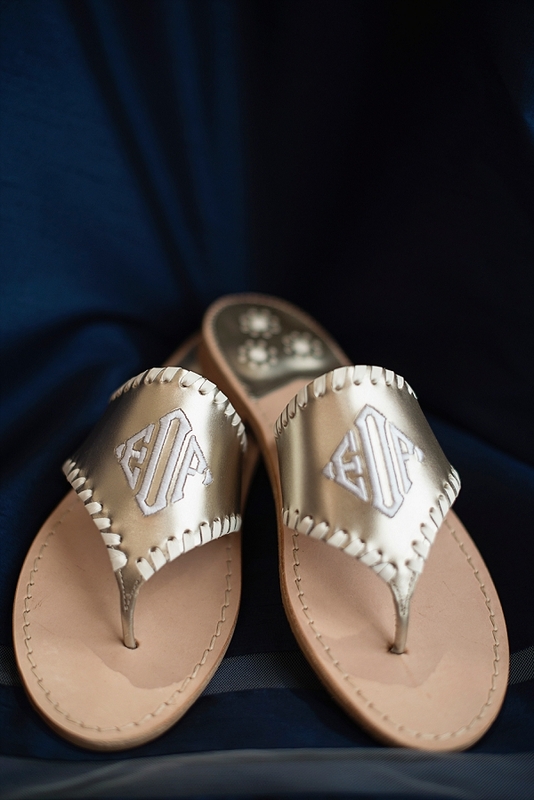 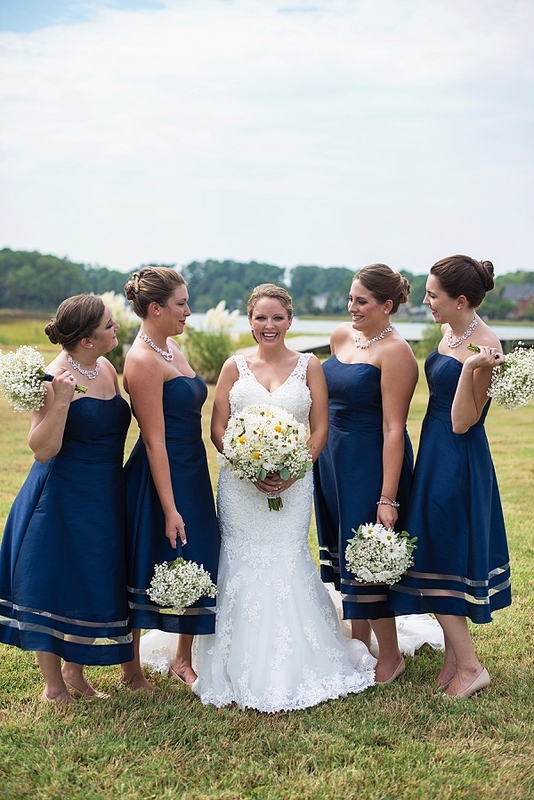 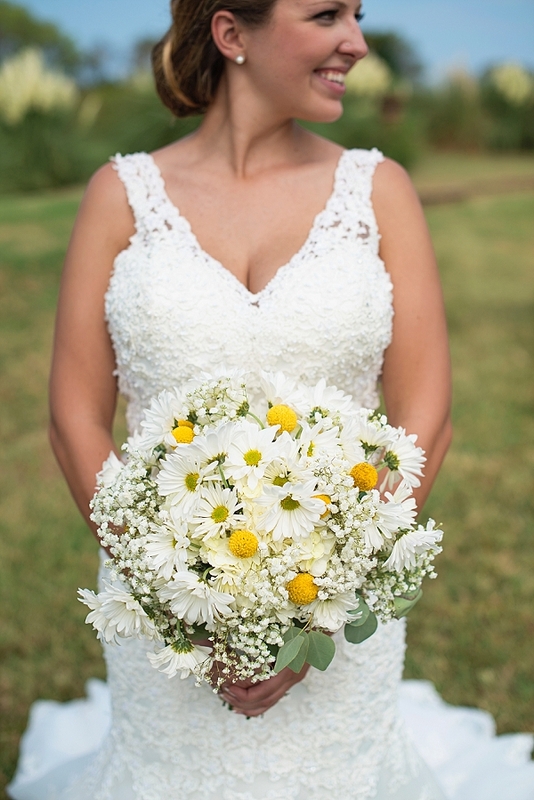 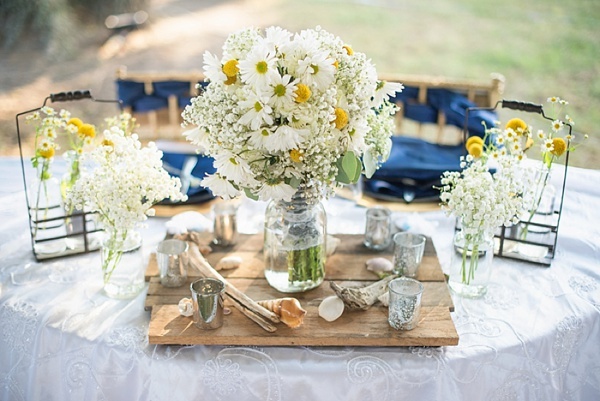 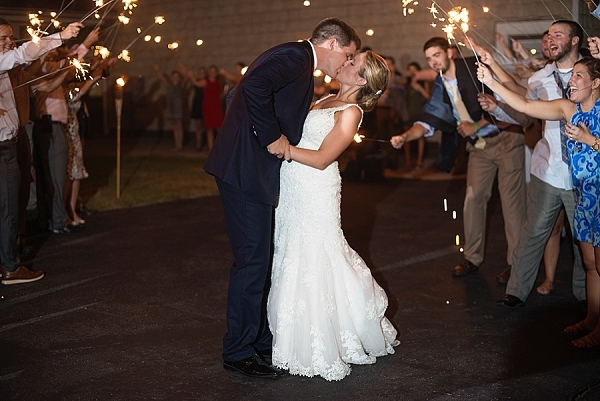 From thick braided rope to anchor symbols, their navy blue and gold details were a waterfront wedding dream dappled with cheerful daisies, yellow billy balls, and sweet baby's breath. 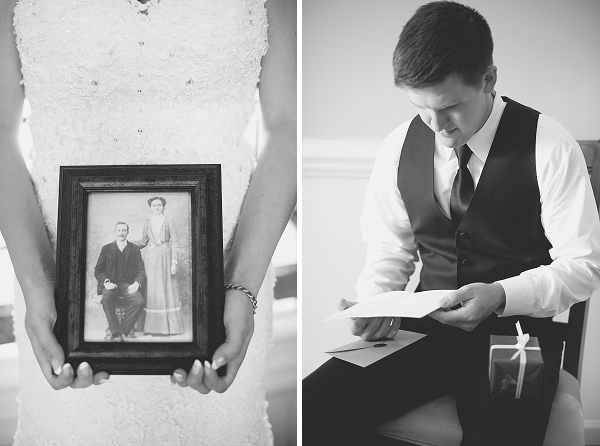 We love their personal details that made the day special - the bride carried a picture of her great-great-grandmother to remember the past, and guests signed a wedding bench that would sit in Alex and Ellen's home for years to come. 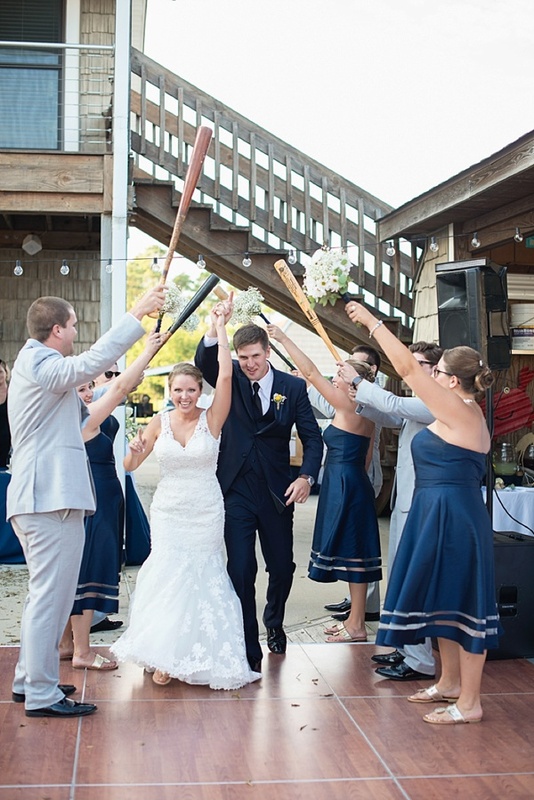 This couple mixed classic elements (vintage baseball bats!) 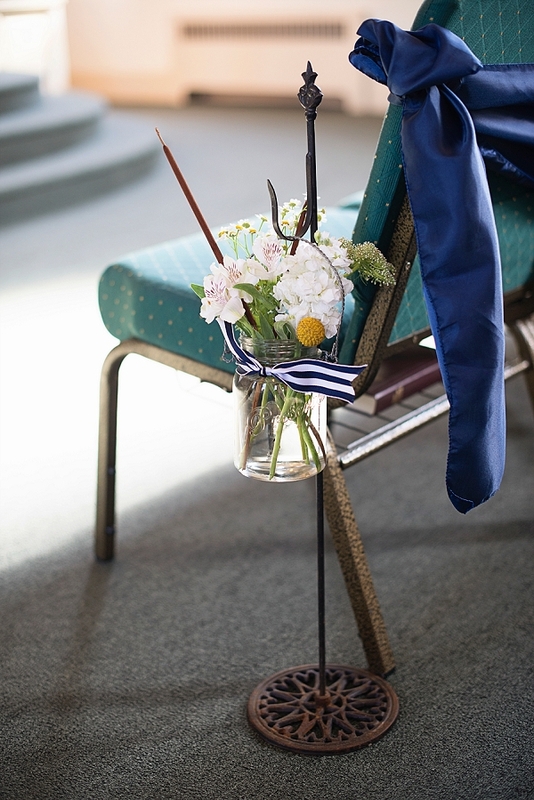 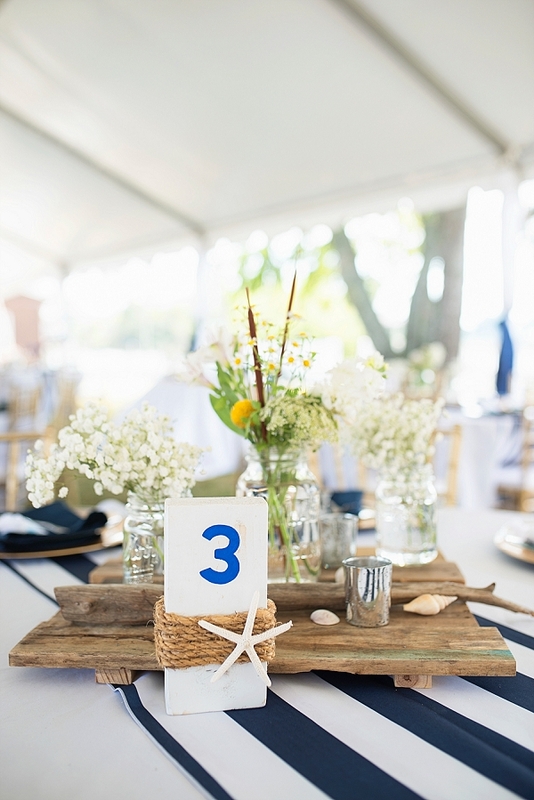 with modern touches (a raw oyster bar, bold navy blue-striped table runners, and a baseball-themed cake topper!) 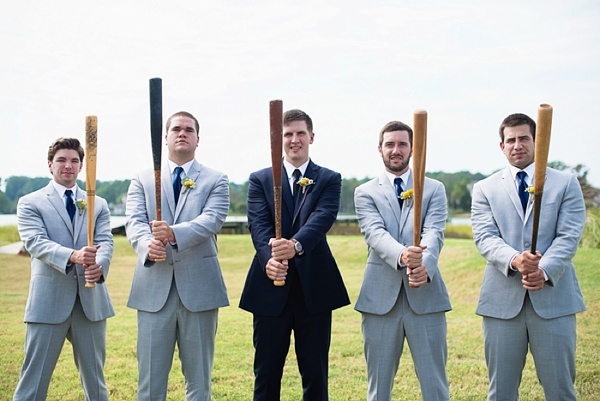 that made their day fun and memorable. 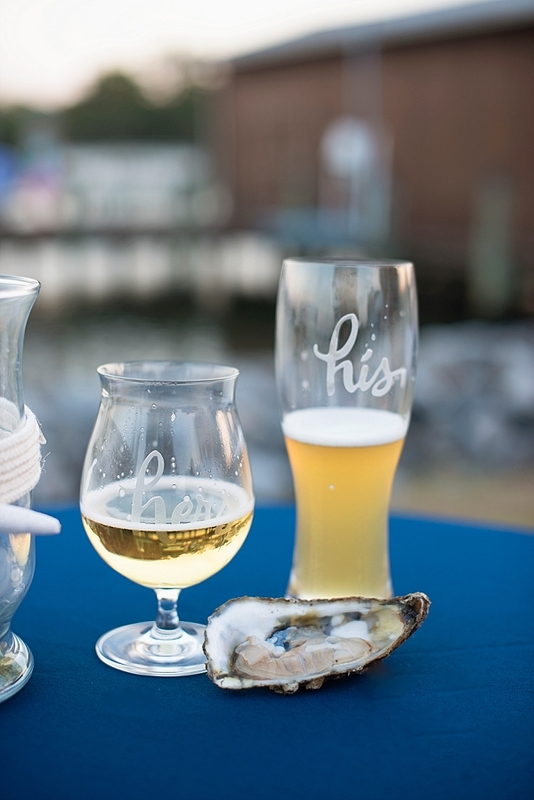 With Maria Grace Photography behind the lens, their love story was perfectly captured from the gifts and letters exchanged by the bride and groom before the ceremony to the first look out on a private dock all the way to the baseball bat "sword arch" reception entrance. 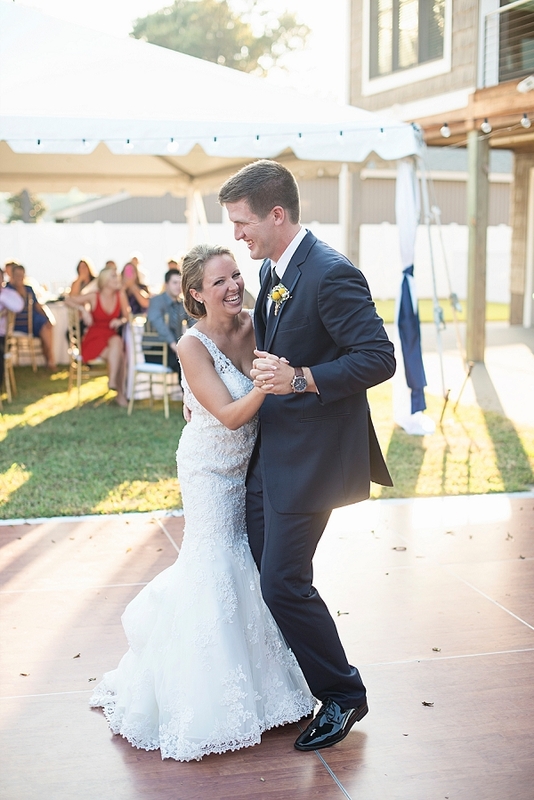 With a love so evident, you'll be cheering, too, as Alex and Ellen set sail on their newly-wedded bliss!